i‘ve always wanted to do more lovecraftian work. when i was in high school, just about every sketch i did was laden with tentacles and unnameable masses. 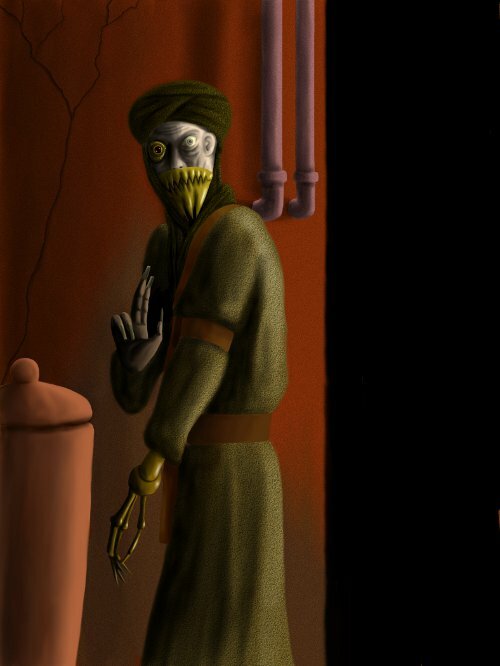 recently, i decided to do some slightly-steampunk variants on a lovecraftian theme, and what better place to start than with the luminous author of the necronomicon, the mad arab abdhul alhazred.